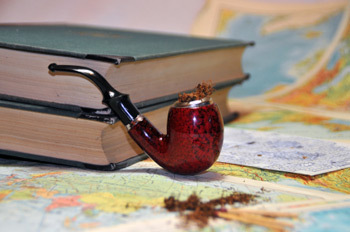 After a few hundred years of people smoking pipes, you’d think we’d have figured it all out. 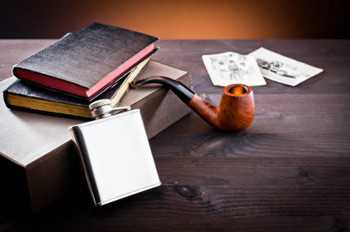 It seems a simple thing: Choose a pipe, fill it with tobacco using whatever well practiced technique is currently in fashion, properly apply the preferred source of flame, and sit back to enjoy a lingering, fragrant smoke. Pipes have been figured out, and we’ve got tobacco growing and processing well sussed. There really should be few surprises left. This morning, as I filled my pipe with the tobacco I’ve been smoking almost exclusively for the past couple months, certainly long enough to understand how it behaves, how it tastes, I was prepared for nothing more or less than a great smoke, and that’s just what I was having for the first third of the bowl. Then the bells rang. It’s happened to most of us. We’re peacefully smoking away, enjoying the experience well enough, when something changes, calling out for our attention, shaking us from our quiet reverie. It happens often enough that I should know not to be caught off guard so frequently, but, by the time I’ve settled in with a blend, having smoked dozens of bowls in different pipes, new and old, large and small, exploring how they interact with the tobacco, analyzing the effects of different smoking cadences, different packing methods, even different environmental factors on the overall gestalt, I seem to develop a false confidence in my understanding of the tobacco. I find myself settling in to a state of casual disregard for the abundant riddles of tobaccos and pipes, and my complacency opens wide the doors and windows through which some poltergeist will inevitably drift, rattling its chains, throwing the dishes, howling belligerently. 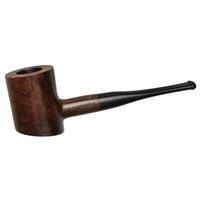 The morning’s pipe hadn’t been smoked in some time, but has always performed reliably with similar mixtures. It’s not one of the magical pipes that would deliver an amazing smoke even if filled with dried lawn clippings and pencil shavings, but neither it is one of the high-strung thoroughbreds that only runs its best race when fed on a particular vintage of a special blend. It’s always been a steadfast performer, delivering a cool, easy smoke that doesn’t require much in the way of effort or thought. Until today. The phantom visiting this morning was not some malevolent spectre, but a more seraphic presence, descending through the windows on shafts of golden light. Without foretelling, I was suddenly having one of those majestic smokes that transcends all the ordinary ones, and I lost myself in the experience for a good half hour until, finally, all that remained was ash and memories. It was magnificent. And, it was ephemeral. 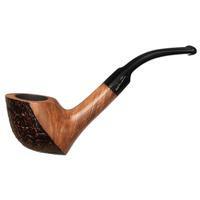 Pipe smoking is a mysterious thing, and the briar pipe seems to be the most mysterious thing of all. Was it some special synergy between a pipe and a blend I thought I knew well that resulted in this wonderful experience? Could it have been the season’s first rain weaving its own magic into the tapestry of thermodynamic equations and theories on flavor development? Maybe the pipe had been resting just long enough to deliver its best, but not so long as to become lazy and stale? 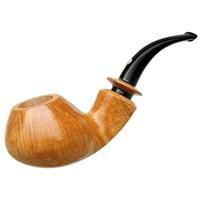 Or was it the ghosts of tobaccos past that influenced this bowl in some harmonious way to bring about smoking nirvana? The fact is we will probably never really understand the myriad interrelationships of pipe, tobacco, environment, mood, nor develop any reliable way of predicting what makes one smoke good, and another transcendent. In a way, there’s a certain bliss in this ignorance; if every smoke was sublime, the really special ones would lose something of their specialness. 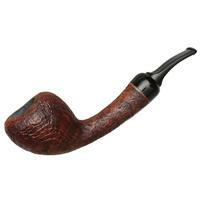 Still, for most of the years I’ve been a pipe smoker, I’ve sought answers to the briar’s riddles, hoping to shine at least a little glimmer of light into those shadowy corners, but every time I think I’ve found a clue, it disappears in the smoke of the next bowl. Pipe smoking, like so many things that are worth pursuing, is a deceptively complex system of the variables we know, and those we don’t. Paraphrasing J.B.S. Haldane, eminent 20th Century biologist, not only is the art and science of pipe smoking stranger than we suppose, it’s stranger than we can suppose. 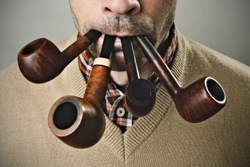 Many have tried to proffer theories, some of them quite scholarly, on ways to increase the likelihood of great smokes, but for every well reasoned argument, there will be a scoffing gang of hooligan pipes, working equally hard to prove the theory inadequate. This doesn’t mean we shouldn’t continue to try to find the answers, at least as long as the questions are interesting, we don’t take the task too seriously, and the hunt remains enjoyable. We can fairly easily examine the obvious factors: chamber size and shape, draught hole diameter, bowl thickness, shank length, stem funneling. With enough collected data, this might give us some insight into the nuts and bolts, what I’ve always called the dynamics of how a pipe will smoke. If we gather sufficient understanding, we might be able to predict whether a pipe will stay lit easily or not, whether it will gurgle or deliver a dry smoke, whether it will smoke to the bottom with minimal effort, but, as much effort as we might be willing or capable of putting into this sort of analysis, it remains too reductionistic to paint a very vibrant or reliable picture, failing to give any indication at all of whether or not we’ll actually enjoy the smoke the pipe offers us. Adding in the less tangible aspects, including the things we don’t know that we don’t know, things begin to blow up. The variables of the system, in which the smoker is perhaps the most vital element, are many. We often accept that some brands have certain characteristics, but when pressed, we have to admit that even amongst the golden marques we sometimes find lead, or that even those pipes with the lowliest of pedigrees might sometimes deliver well beyond our expectations. The pipe can be an unpredictable, sometimes kind, sometimes cruel mistress, and its deeper mysteries evade explanation by circles, arrows, equations, discussion of briar appellation and age. As one example, consider the contemporary trope of the wide-open airway. There are some who hold so strongly to the belief that if the airway isn’t large enough to house the family dog, the pipe could not possibly smoke well, and they send all their briars off to have the airways enlarged. I’ve experienced a great many old pipes that do not even come close to adhering to contemporary airway standards, yet smoke so wonderfully I wouldn’t dream of altering them in any way. Apparently no one explained to these pipes that they were supposed to be hot, wet, constricted, flavorless smokers. I’m certainly not going to clue them in. If it ain’t broke, don’t fix it. It’s human nature to sometimes fall into the trap of exalting our own hypotheses, becoming so attached to them that we carefully select our evidence to support our suppositions, often falling through the trou de loup of belief onto the sharpened punji sticks of confirmation bias. Worse, we might be tempted to draw erroneous post-hoc conclusions based on incomplete information; when that GBD prince smokes a certain style of tobacco particularly well, we might be tempted to believe that GBDs are best suited for that tobacco, or perhaps that princes are, and then seek to support our hypothesis not by looking for the exceptions, but for agreement. When our favorite tool is is a hammer, we tend to search for nails to bang on. 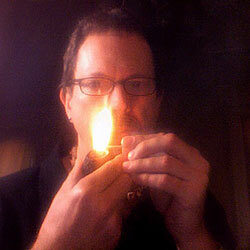 I somewhat reluctantly admit that my own chasing of peak smoking experiences, and my feeble attempts to gain sufficient understanding to recreate them at will is probably more than a bit compulsive, and really doesn’t have much to do with the simple pleasures to be found in the art of pipe smoking, though since I find it entertaining, I’ll likely continue the folly. And, really, I enjoy the fact that the pipe’s mysteries remain elusive and continue to evade complete understanding; it makes those evanescent experiences more precious. In a sense, it’s the contrast between the flaws and the perfection that gives our pastime many of its wonderful textures, and keeps us seeking the next Great Smoke. There is nothing quite like that perfect smoke, when the pipe and tobacco and flame come together in perfect harmony. Well said, Mr. Pease, well said. I’ve had that smoke a few times in the last few months, with 03 Kensington, 07 Blackpoint, and brand new Gaslight. And you’re right: it seems to sneak up on us under cover of darkness, and all we can do is enjoy it while it lasts, and be happy that we have such fine tastes. Great article. I am guessing the tobacco was your most recent development Gaslight but what was the pipe? I am on the verge of dedicating a second pipe to the exuberant Gaslight. Probably a Posella, which has the magic property of increasing Lady Nicotine’s kick way beyond any reasonable expectation based on bowl size, as I fancy that for an evening smoke in contrast to the small tulip made by a brilliant young pipemaker called Simeon Turner, which is excellent for afternoons. Why indeed can the Posella perform this alchemy of increasing strength - it certainly has some of the characteristics an open draw, a largish bowl but how could it make Union Square too strong? Never mind I have plenty of pipes that will not and plenty of candidates that will benefit from a bit more kick. Still a real mystery. Like why a Stanwell that will hardly accommodate a thin pipe cleaner is arguably my best smoker - sold off as a “vintage” when the Danish factory closed it is probably a “second” but it holds its own with a couple of Peter Heeschens finest. As to your sublime smoke my theory is that its just because Gaslight, if that was the tobacco, is a great rainy day smoke which accords with my experience this wet English November. Thanks for a great article on the one thing we all share in this hobby: the pursuit of that transcendent smoke. I’m in the camp that believes personal chemistry and psychology are at least as important as pipe, tobacco, and environment. BTW, as always, nice pix accompanying the copy. Thanks for the words, gentlemen. It was a fun one to write, and it’s rewarding to know that it was a fun one to read, as well. Another great article. I can remember many moments when the “bells rang”, and the pursuit of similar experiences keeps me in this great pastime. I’m looking forward to the next installment. You sir have an uncanny ability to weave into words what other are only able to think. Fantastic read. I as well won’t tell my old English Briars that they need a larger draft hole to smoke well. They would be devastated to think they disappoint in any way. Another quality column by Mr. Pease. Enjoyable read great. Sometimes the greatest moments in life are the ones we don’t understand. This surely holds true for those magical piping experiences. When they happen, they leave me in utter amazement. Given decent “dynamics” in a pipe (nothing to do with brand) and decent tobacco (and I assume you are smoking your own so that’s a given), one should usually get a good smoking experience; I’m convinced however that the sublime smoke is entirely down to the smoker - mood, ambience, moon phase or whatever. Given decent “dynamics” and briar in a pipe (nothing to do with brand), decent technique and decent tobacco (I assume you are smoking your own so that’s a given), it should be possible to always achieve a good smoke; I honestly believe that a sublime one, though, is entirely down to the smoker - mood, ambience, moon-phase, whatever. I have had transendant smokes in the strangest places and with an eclectic assortment of people. I agree with Cortez that the psychological mind set of the smoker has as much to do with the “perfect” smoke as the tool, tobacco, beverage, place or people that it is shared with. I hope we never figure it out. It would take away the quality of the moment. Great article! The only thing I’m sure of is how little I know about the art of pipe smoking. … and another fine post from Mr. Pease. Ah yes, Greg. I waited till my GI tract was sated with the seasonal fowl, the Nouveau Beaujolais that we were discussing and a new to me Malbec before settling down to digest your fine tract. Funny how random those transcendent smokes appear, yet there are a number of ways to reliably produce a bad smoke. Also I’ve noticed lately that some of my wettest, gurgliest puffers actually do a fine job of opening up a blend’s flavors. Great article. I have the same experience some times,but in both directions. Sometimes I never want to put the pipe down and other times I can’t put it down fast enough. Great piece, Mr. Pease. I rather enjoyed the form and the content. Keep writing, please. 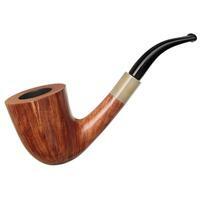 lestrout: I too have had one of my finest smokes from a gurgling pipe. I’d like to further such blasphemy by stating that that all these people with their dedicated-blend pipes might well be missing out on “great smoke” experiences. While I’ve never successfully dedicated a pipe to any one thing, in the long run, I have had pipes that I’ve mainly smoked Latakias through- and then turned around and smoked an Aromatic through, say to stupendous results. What did Ralph Waldo Emerson say about a “foolish consistency”? The pipe smoking experience is a “hands-on” exercise that celebrates its variables rather than suppresses them. This contradicts modern industrial engineering and quality control techniques but, as Winston Churchill once remarked, he’d “rather be right than consistent.” Mr. Pease is spot-on in his observations. Chasing those moments is what keeps us interested; wonderful exposition of this facet of our hobby. Good article. I, too, would never consider altering the draft hole of a pipe for any reason. If I don’t like how it smokes I get rid of it.